Just like the flowers and shrubs in your yard, your trees need some TLC too! Throughout the year, trees need to be maintained through trimming and pruning. Not only does tree trimming make the tree look better, it keeps the tree healthier, as well. In fact, tree maintenance has a lot of benefits for you and the tree. Our team at Bushor’s Tree Surgeons offer tree trimming and pruning services to keep your trees healthy and attractive. For this article, we wanted to share with you some reasons you should get your trees trimmed throughout the year. Branches, especially dead or weak branches, can break or fall at any time. A falling branch is a safety hazard. A branch could hurt you, a loved one, a car, your home, or your neighbor’s property. Tree trimming can help promote the structural integrity of the tree. Tree trimming makes your tree more aesthetically pleasing. Tree trimming promotes growth in the tree. Tree trimming helps you shape the tree, so it fits a certain space in your property. Tree trimming helps reduce shade. Tree trimmings helps reduce wind resistance. By trimming a tree, you can promote flower or fruit growth and production. You can save a tree that just when through a bad storm through tree trimming. Through tree trimming or pruning, you can help treat a tree that has a disease and prevent the disease from spread further. Tree trimming helps give you a better view of things from your property. You may not want a tree to block your view of a lake or mountain by your home. Through regular tree trimming and pruning, you are helping the tree from growing weak branches. Tree trimming helps increase sun exposure and air circulation for the tree and all the flora under the tree and its canopy. Tree trimming can make your property look bigger and more open. There are different kinds of pruning a tree professional can do to your tree. Fine trimming is just removing small limbs to help improve the tree’s overall appearance. A standard trim involves more heavy cutting to help the tree’s branch structure. Hazard trimming/pruning is when branches are removed for safety concerns. Tree specialists know when to trim your tree based on its variety, location, and the time of year. 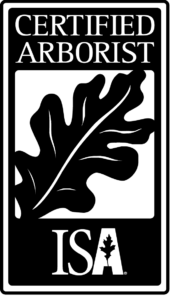 Our certified arborists know how to trim the trees without damaging the tree; we work to insure the highest quality of tree care in the city of Jacksonville. You don’t want to accidentally harm or kill your tree due to over-trimming or trimming at an improper time, which is why you should rely on a tree specialist. Looking for Tree Trimming Services in Jacksonville, Fl? If you’re looking to get your trees trimmed, it’s time to call a Jacksonville arborist! Our arborists at Bushor’s Tree Surgeons will arrive with the proper tools, equipment, and experience to evaluate your tree(s) and get the job done! Our arborists will inform you on how we are trimming the trees on your property, and how often they should be trimmed. 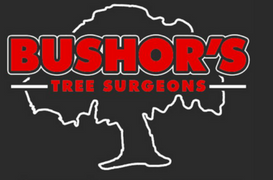 Bushor’s Tree Surgeons is a tree service company based in Jacksonville, Florida, and services customers in Ponte Vedra Beach and St. Augustine, Florida. 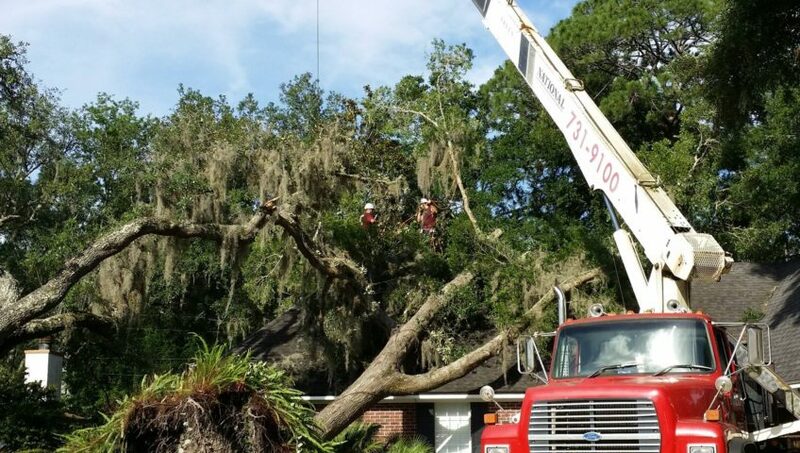 Call us at 904-731-9100 or click our Tree Trimming Jacksonville Fl contact page to learn more and to set up an appointment with one of our certified arborists.